we’ve had over the past couple weeks! We set up our Holiday Season installation, which was a gorgeous combination of magnolia leaf branches forming a delicate trellis, christmas lights, wicker balls, and beautiful chandeliers, all combined with tactful ribbon. 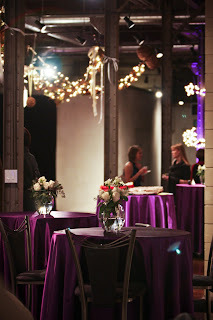 Angie, Janice, Corbin, and Alissa all worked for hours getting everything perfectly set for all the upcoming events. Every year we put up an installment to last a few months, and it’s so much fun to watch events come together under a common theme. 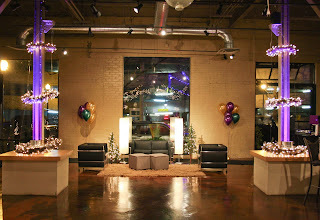 Make sure to look at the pictures below to see how it all worked out!A surprise birthday party was a HUGE hit with the gorgeous gold and purple decorations the doting husband picked out for his beautiful wife!! 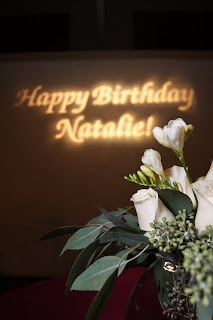 We were so happy to be a part of Natalie’s Surprise 40th Birthday Party – what a fortuitous time and loving couple! She was literally “surprised to tears” when she arrived. Of course…they were happy tears! 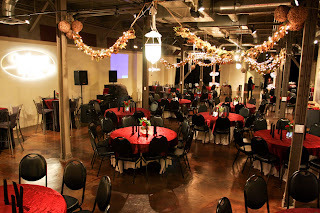 Pierpont Place worked hard to make sure they had a great time! Next, we hosted the Utah Hispanic Chamber of Commerce December Luncheon, and as always, had a wonderful time chatting and eating with these leaders in the community. 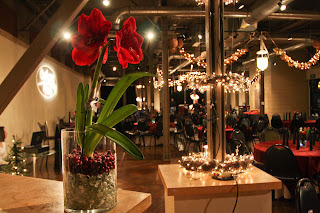 The next day was the Holiday Luncheon for the American Cancer Society chapter of Utah, and it was another wonderfully enjoyable time. decked out to the nines! It was a blast! Last, but DEFINITELY not least, Janice threw her daughter a birthday party that nobody will forget! A birthday party for the 4-year old in question, but also for the adults who attended! What an idea! From a caricature artist, to a magician with a live baby kangaroo, to finger food that everyone adored, to Santa Claus himself! Everyone stayed till the end, and now we all know who to ask when we want a birthday party in our honor…. 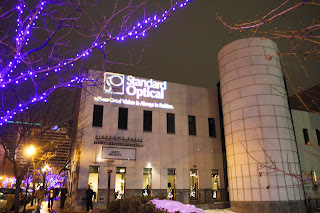 It’s been busy, and now we’re heading into 2010! What an idea! Keep up to date with us, and we’ll make sure to do the same with you! Thanks everyone for making 2009 such a wonderful year!! !